In case you haven't heard, London Beer City is a week-long, city-wide festival that will celebrate everything London has to offer beer-wise. The schedule is quite astonishing and a great reflection on just how far the beer scene in London has evolved in recent years. As part of this festival, I'll be donning my Elusive Brewing cap and joining the lovely folk of Weird Beard Brew Co at Bermondsey's Bottle Shop. Details of the event are here and the mouth-watering list of beers that Weird Beard will be bringing are listed here. I'll be bringing some samples along too including a keg of American Red - it's first outing since this happened - and a bonkers Imperial Spiced Black Saison. 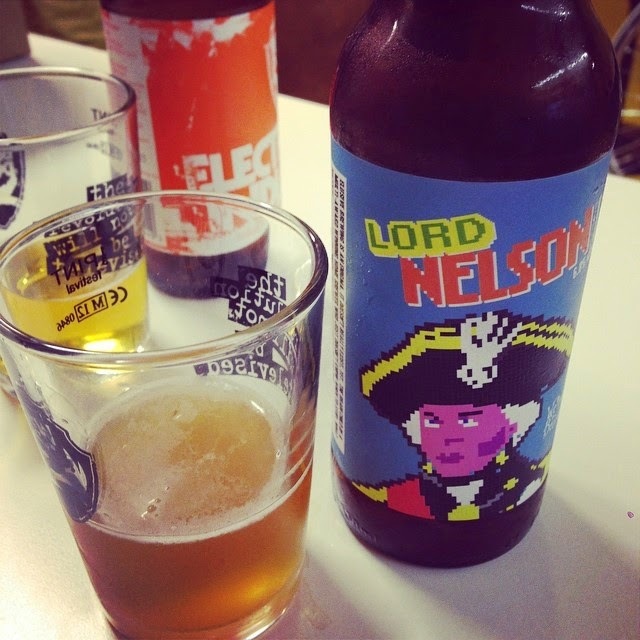 Perhaps this is an opportune moment to give a general update on Elusive Brewing. The beer mentioned in the blog post above is one that I've written about before. The collaboration with Weird Beard took this same recipe (minus the brett bruxellensis) and scaled it up to a full 10BBL brew length. This required an awful lot of Nelson Sauvin. Weird Beard managed to secure some leaf hops but the T90 pellets were proving hard to come by. A chance meeting with Brewdog's Head Brewer Stewart Bowman at CBC proved to be fortuitous - they had a small amount spare from the 2013 harvest and very kindly sold this on to me, perhaps underlining their recent announcement that they'll be supporting fledgling breweries through their new development fund. Bowman, thanks, and you'll be receiving some bottles in the post soon! The inspiration behind the Elusive branding is 8-bit video games - a nod towards a misspent youth, mostly. The colours and 'character' image will change with each beer but the bold, blocky personality will remain consistent throughout each release. So, what of brewing plans generally? Well, at the moment I'm working full time in a pretty demanding job and struggling to find time to move things forward at any pace, but I'm actively looking for premises and have completed planning in terms of capital expenditure (a lot!) and business forecasting. The plan is to build while working full time, which is going to be tough, then seeing how things go commercially before deciding whether to take the plunge full time. Since I started this whole crazy idea, lead times on new kit have gone out from ~3 to ~6 months, which is perhaps an indication of the explosion that UK brewing is going through at the moment. When I do get finally get there, I do hope I'm not too late to the game! In the mean time, I'm continuing to hone my skills, seeking out collaborations and brewing at home to build up a portfolio of recipes. 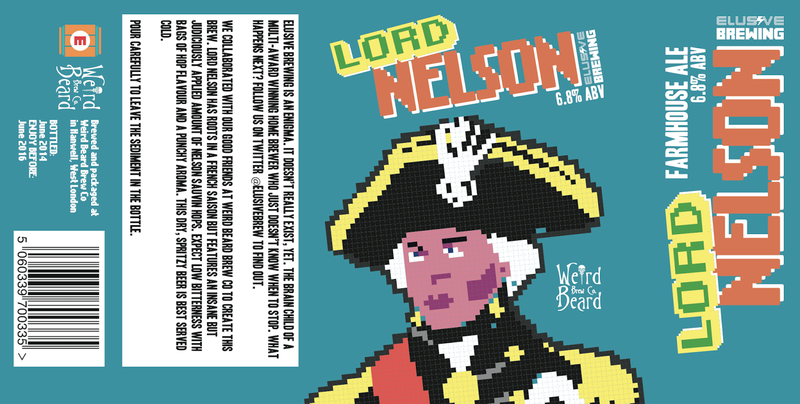 Lord Nelson is now available to trade in 30L key kegs and a limited quantity of 330ml bottles. Contact Weird Beard for pricing.